Pokémon Sun and Moon Versions are due to be released November 18, 2016. Last edited by Cat333Pokémon; May 10, 2016 at 12:59:18 PM. Just based off starter first forms and main legendaries, for the time being looks like I'll get Sun version and start with Popplio. I'll be getting the game and starter that represent the first three letters of my username. Last edited by Cat333Pokémon; June 6, 2016 at 01:56:40 PM. A trademark was leaked a few weeks ago with the names Solgaleo and Lunaala, which I assume are the legendaries' names but of course that is not confirm. Last edited by Aquablast; May 10, 2016 at 07:46:32 AM. Tropical islands should be fun, though, like an entire game made out of the best parts of Hoenn's level design. Too much water, aye, IGN? Oh yeah, unless I'm much mistaken it looks like the oveworld is a lot less grid-snappy than X and Y were, which I am very excited about. Other than that, this may well be the generation that looks most similar to the previous one. Guess they already pushed the 3DS about as far as they could with a lot of things. Also my starter is the owl, because owls are always the answer. Oh yeah, I did notice that while watching the Japanese trailer. I've heard numerous times that the region is likely based on Hawaii, from the design of the buildings and vehicles, to the license plates on said vehicles. Maybe this is the Orange Islands game that we all wanted as kids? X/Y -> Omega Ruby/Alpha Sapphire -> Sun/Moon? Last edited by Cat333Pokémon; May 10, 2016 at 12:49:58 PM. Definitely seems like a viable idea, but it's interesting to me that this is a whole new generation though. 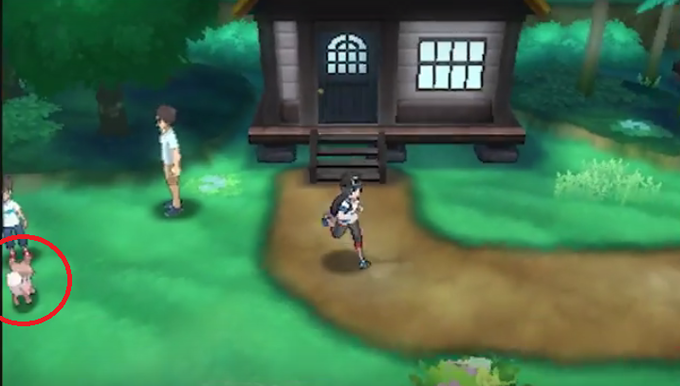 X/Y had the smallest new Pokédex entry though, so we may be able to see this as Gen 6.5 almost. On another note... I'm getting the bowtie owl. He is adorable and must get many hugs. I'm a fan of the bow-tie Owl, not so much the other two starters and the two legendary Pokemon. They're not bad by any means but I'm left slightly disappointed by them after looking at various fan-art around the internet. Big fan of the region though, should be good fun! Also seen some speculation of the Fire starter evolutions being Fire/Poison which could be interesting. Last edited by Music; May 10, 2016 at 08:28:59 PM. The Moon legendary got me. Last edited by Twiggy; May 10, 2016 at 11:18:37 PM. There's just something about Popplio that makes me want punch it maybe it's its overbaring forced cuteness factor. I plan on getting Moon digitally and a physical copy of Sun. A four-legged creature with a probably bushy tail and tall horns/ears. A dog? Deer? Possibly new Eeveelution? Last edited by Yoshi648; May 15, 2016 at 06:28:46 PM. Seems to be (one of) the Gen 7 early-game Normal type(s) - small, brown coloration, mammalian, etc. I liked Lillipup and Bunnelby, I have no idea exactly what animal this is supposed to be but it's safe to say I have decently high hopes for it. It's kind of brown-ish, and we already have a brown Eevee, so I don't think it's one of those somehow. So far all of the Eeveelutions have had colors somewhat indicative of their types. Here are some sketches of what are probably fake versions of the final starter evolutions they still look pretty cool though. Last edited by Magmaster12; June 15, 2016 at 06:53:38 AM.